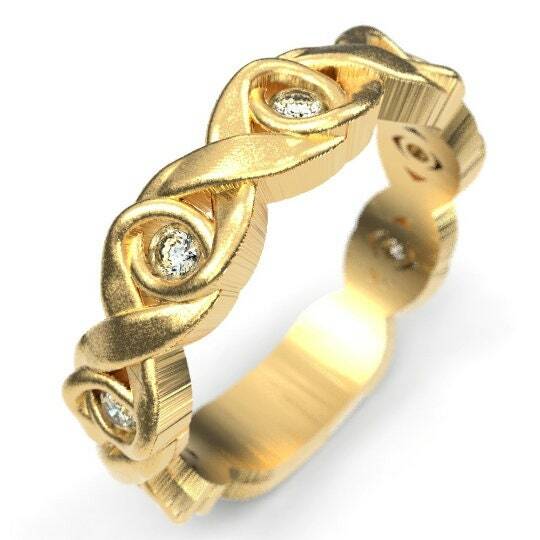 A more traditional knot, the “Murphy Knot” is a classic example of a purely Celtic design. 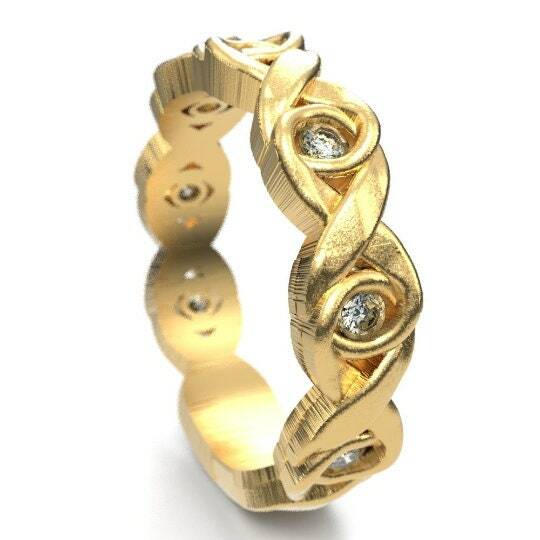 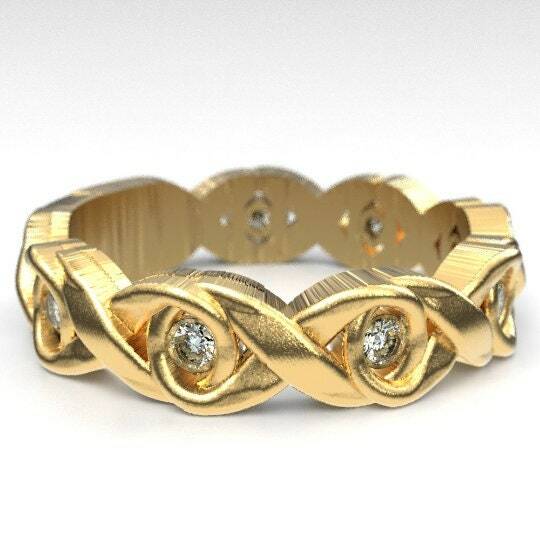 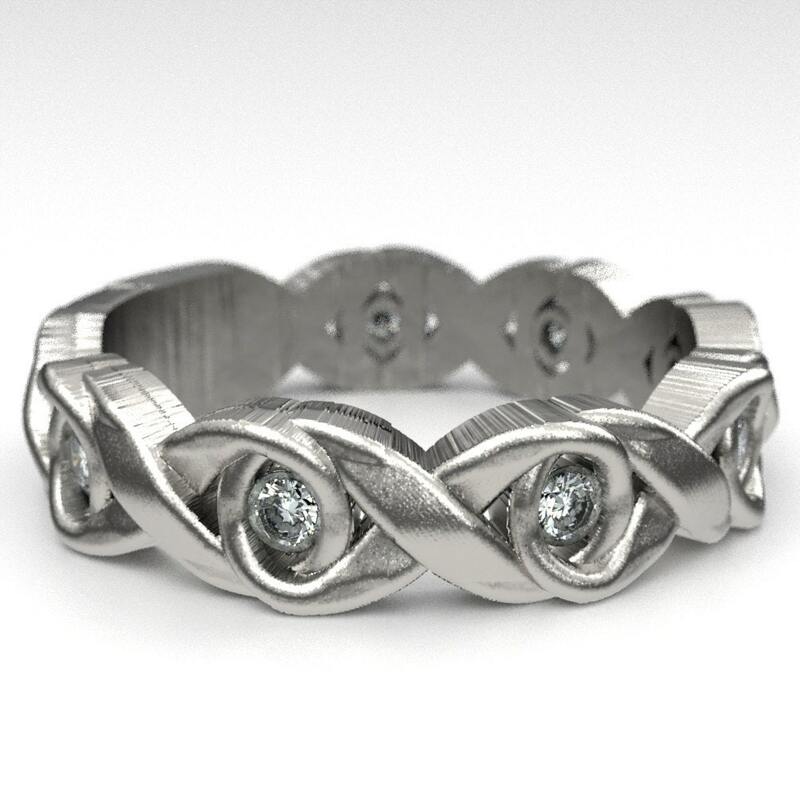 Intricately weaving in and out of infinity symbols, this knot represents two becoming one for an eternal love! 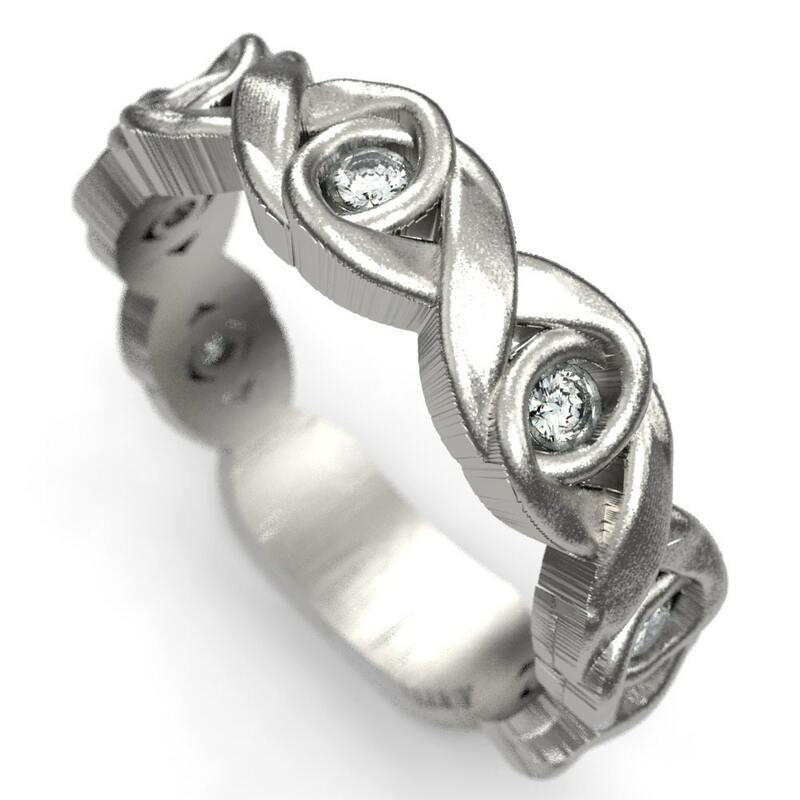 Each knot holds a moissanite firmly in it's embrace, weaving around the ring. 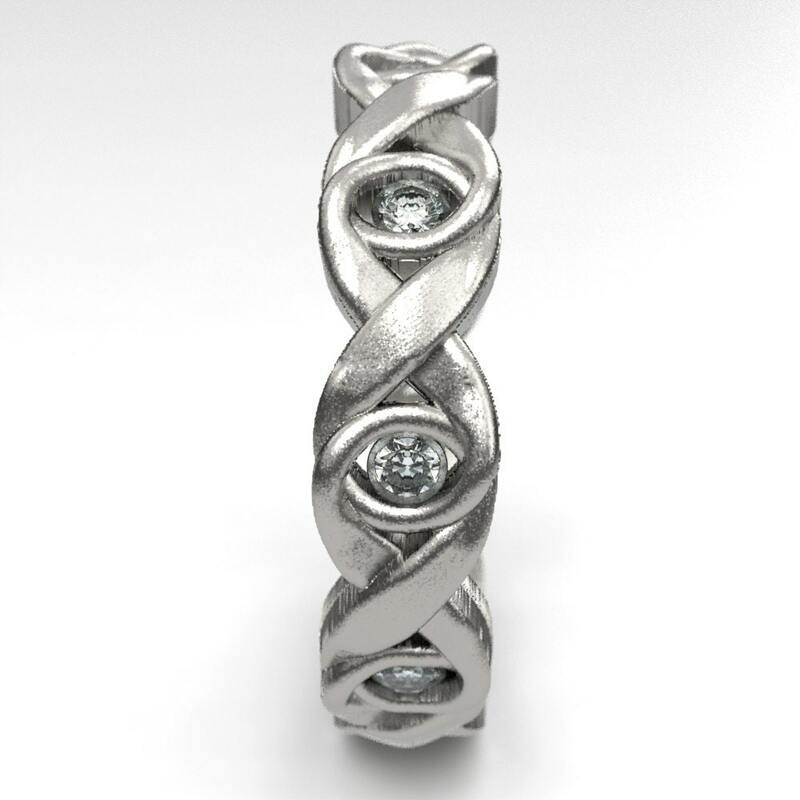 A simpler design for a less busy look, the graceful and sweeping curves are sure to dazzle your lover! 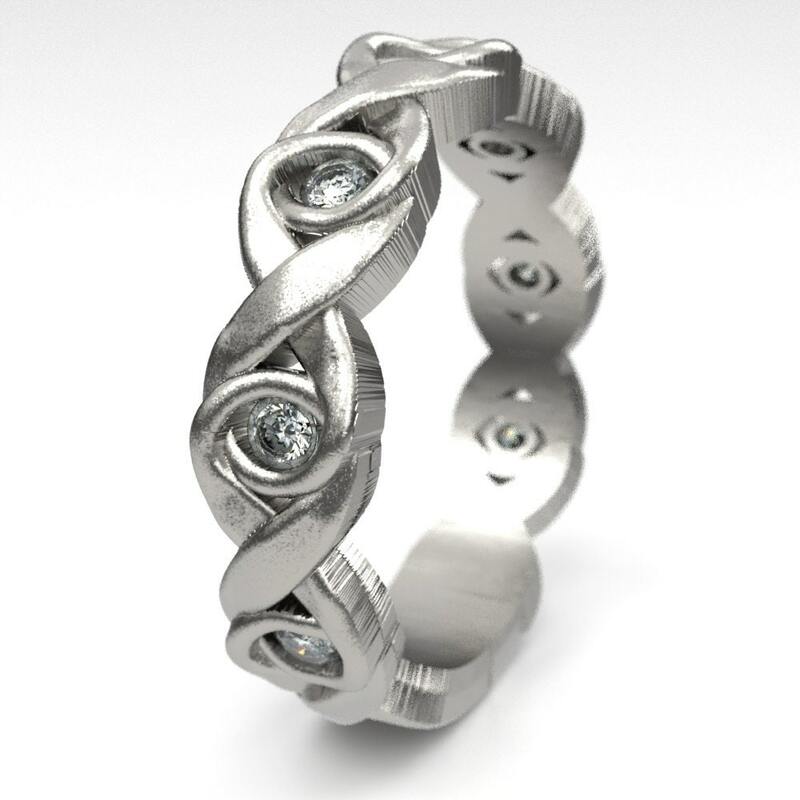 Cast in Solid Sterling Silver, 10K 14K 18K Gold, Palladium, or Platinum and adorned with Moissanite stones, these rings are made of 100% recycled metal. 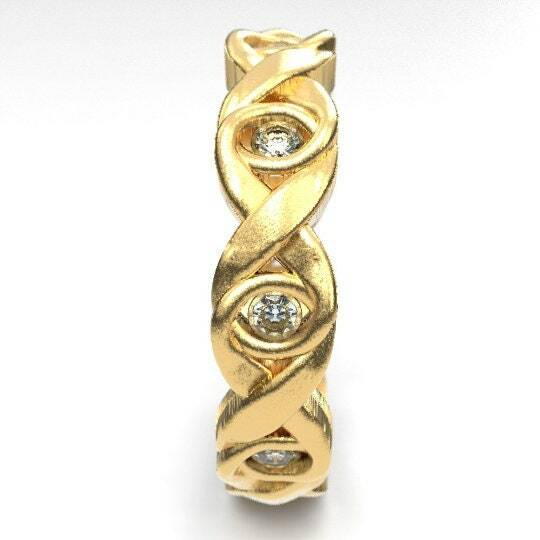 All stones are conflict free, and we personally choose all of our own stones to ensure quality. 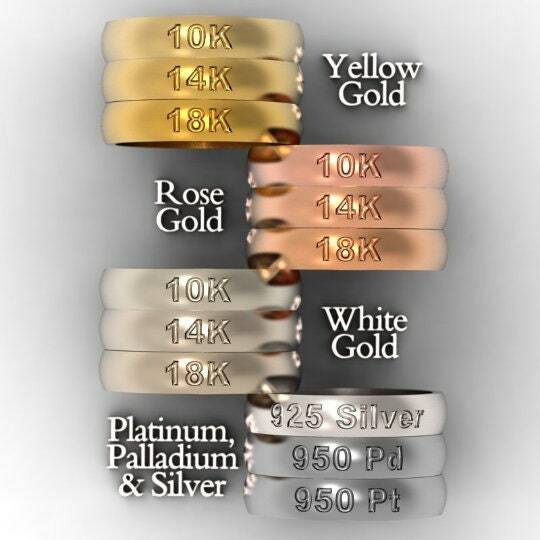 Dimensions: Ring is 4.8mm wide, and made in your size.